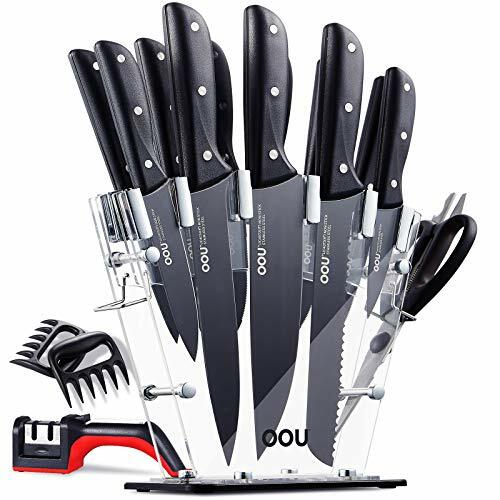 All in One – Professional kitchen knife set includes 8” Chef Knife, 8” Bread Knife, 8” Carving Knife, 5” Utility Knife, 3.5” Paring Knife, 6 * 4.5” Steak Knives, Acrylic Block, Kitchen Scissors, Bonus Knife Sharpener and Claws. 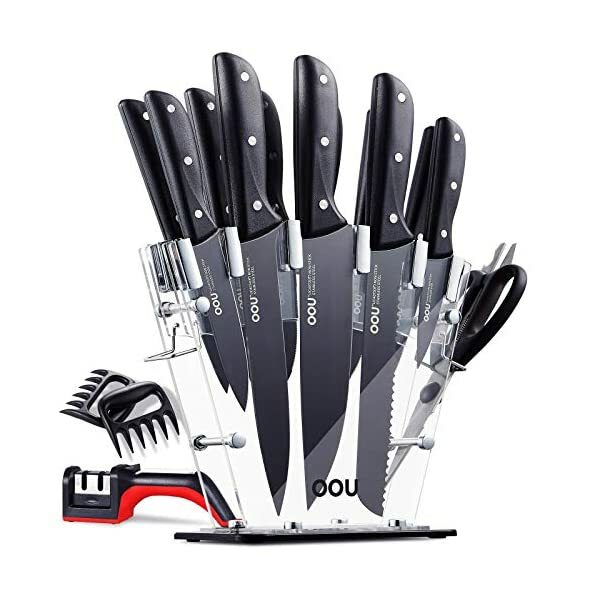 Elegant Design – Different from traditional coating knives which may chips off and unhealthy for life, we adopts FDA Certified BO Oxidation Layer on the blade and really reach anti-rusting & anti-corrosion. Perfect combination with professional, practicability and fantastic black suit.